The Viroviticko-Podravska (Virovitica-Podravina) county stretches from the low-lying Drava region and to the northern slopes of the Slavonian hills and has a long border with Hungary. Truth be told, there's not a great deal of interest to visitors in this region which is why very few come here and why there is little information available in English. 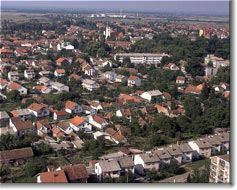 The largest town in county seat is Virovitica at the foot of Bilogora mountain. Hungarian influence here stretches back to the 13th century and remains strong, largely due to the rail and road links to Budapest. The main attraction is the Pejacevic castle, built by Count Pejacevic in the early 19th century which is surrounded by a pleasant park. Also worthwhile is the church of St Roch, a one-nave church built in the 18th century. It's one of Croatia's finest examples of baroque architecture. Many people use Virovitica as a base to hunt on nearby Bilogoro mountain or fish in the Drava river.